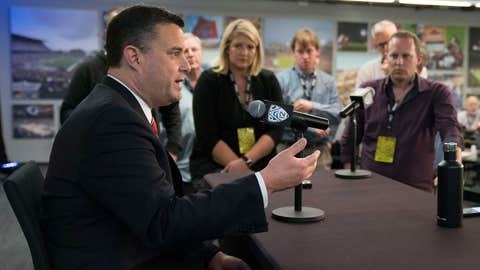 Sean Miller addresses reporters at Pac-12 media day. TUCSON, Ariz. — Arizona has the type of roster that could end coach Sean Miller’s Final Four-less tenure in the desert, possibly win a national title. The Wildcats are deep, talented, with a nice mix of veteran players and five-star freshmen. “I think we have the makings of something special,” Miller said.